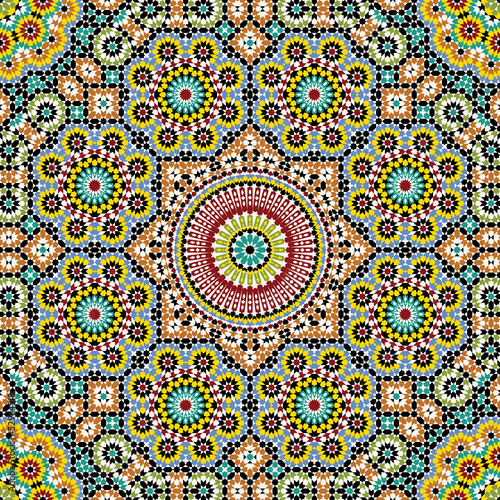 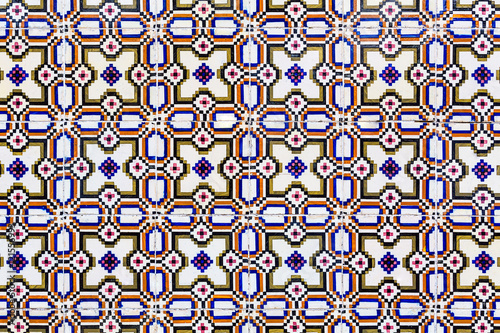 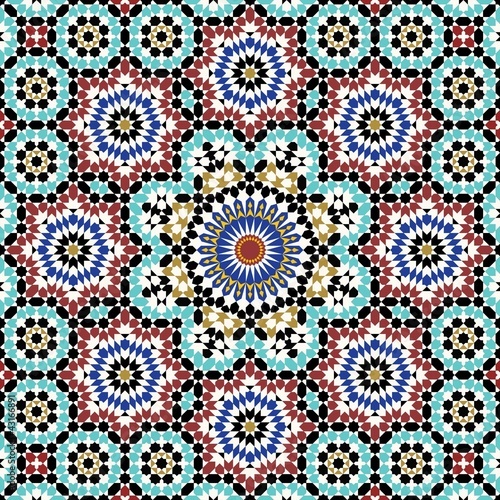 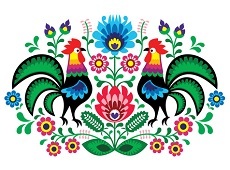 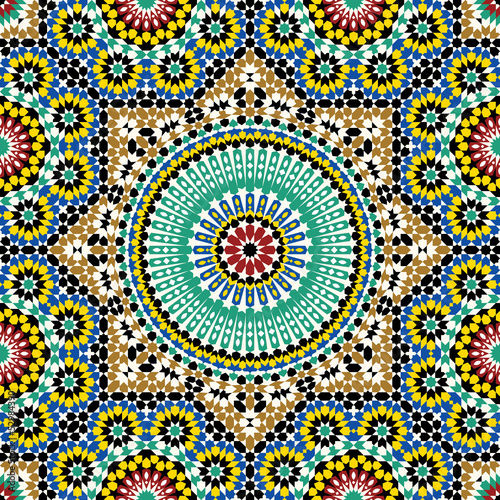 Seamless pattern in mosaic ethnic style. 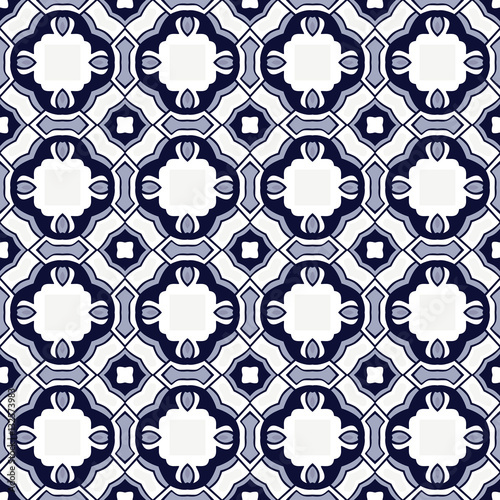 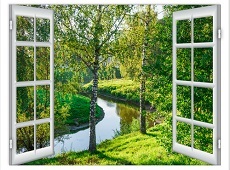 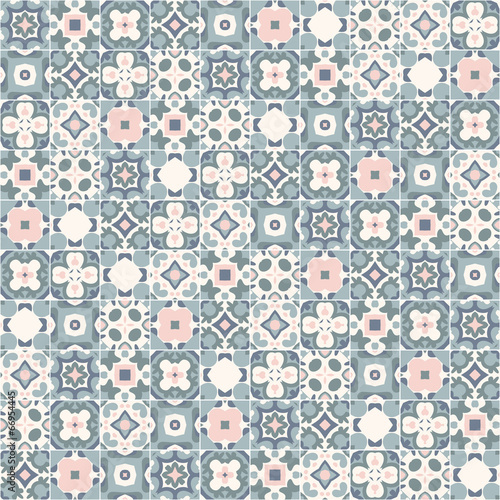 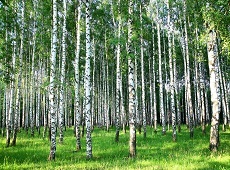 Seamless pattern Tles and border. 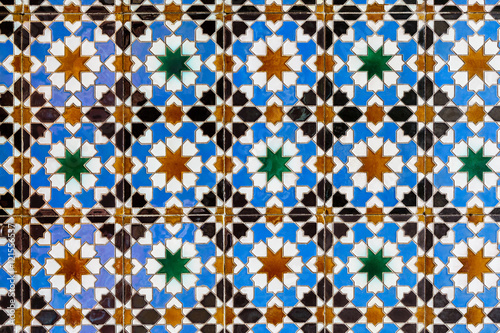 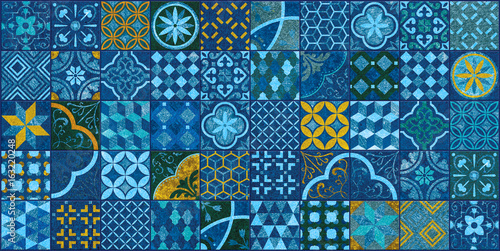 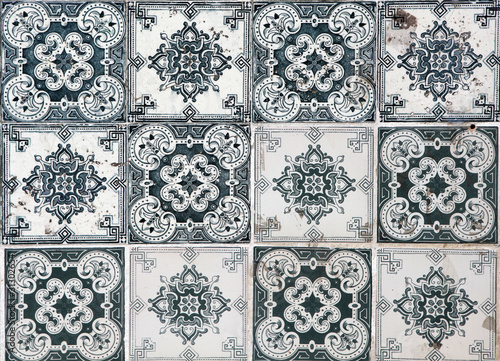 Moroccan, Portuguese,Turkish, Azulejo ornaments. 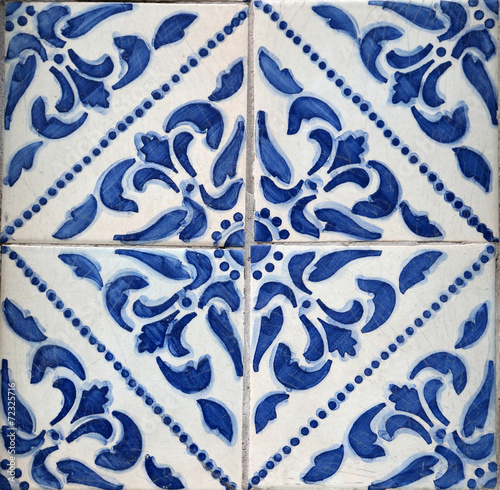 Vintage seamless wall tiles of blue spiral round dot, Moroccan, Portuguese. 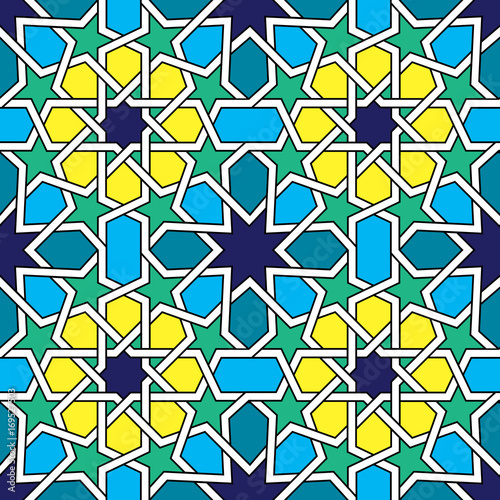 Ornamental pattern vector seamless blue, yellow and white color. 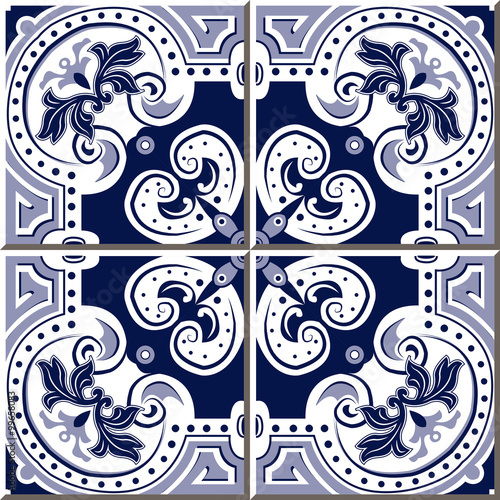 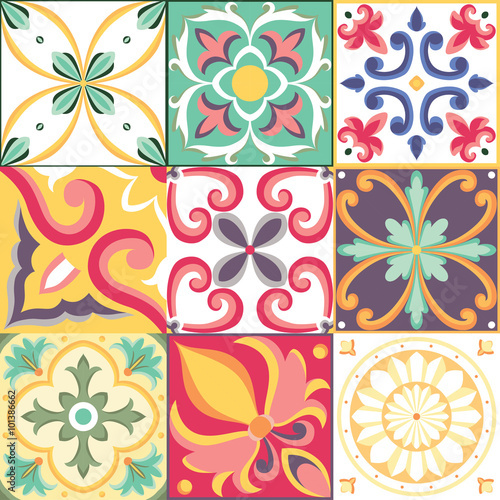 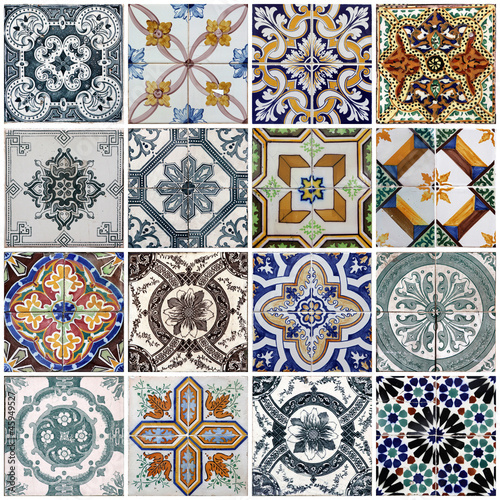 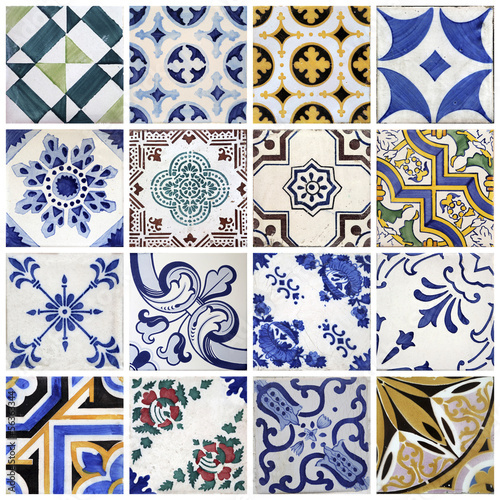 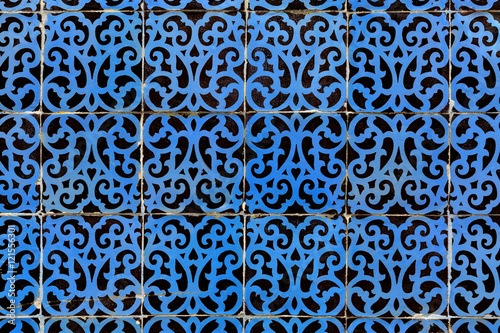 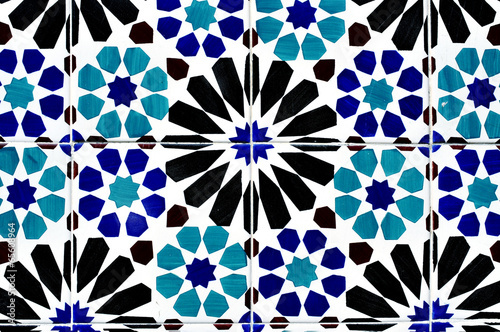 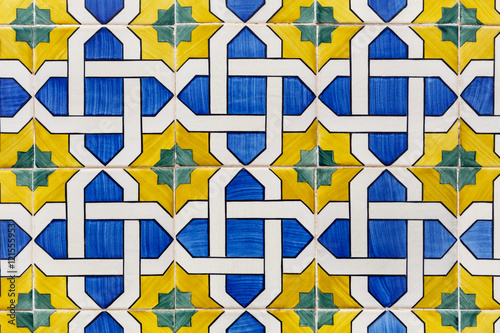 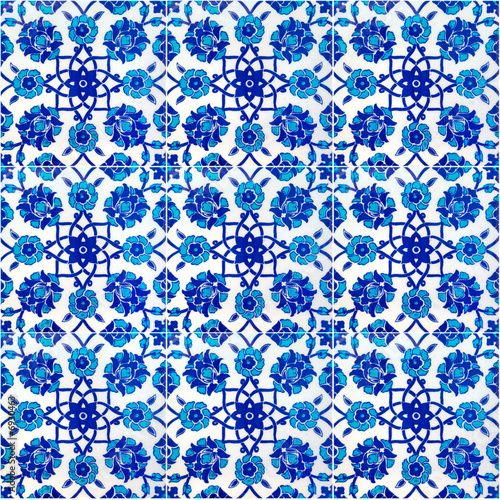 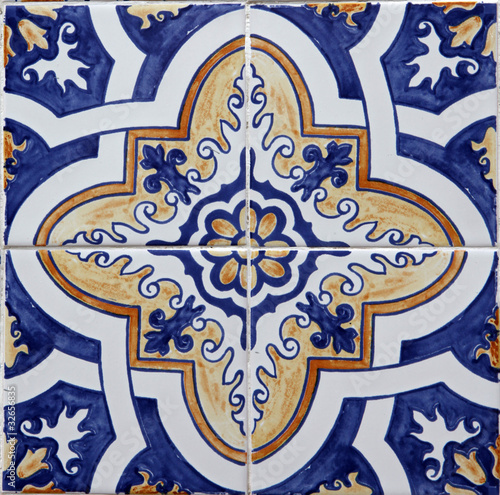 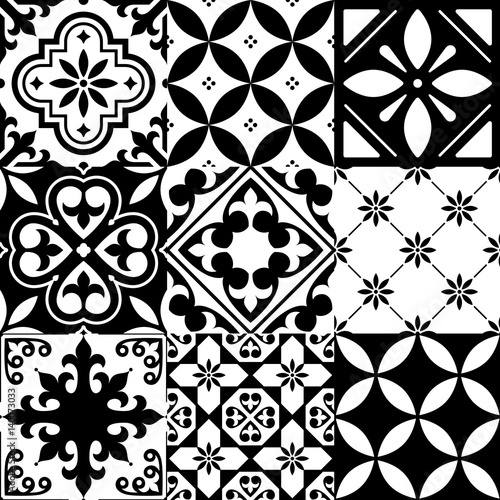 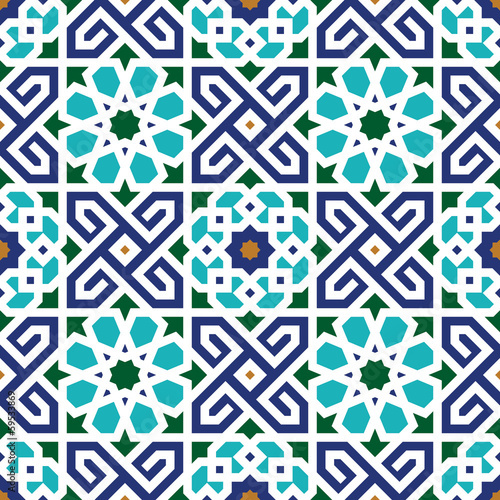 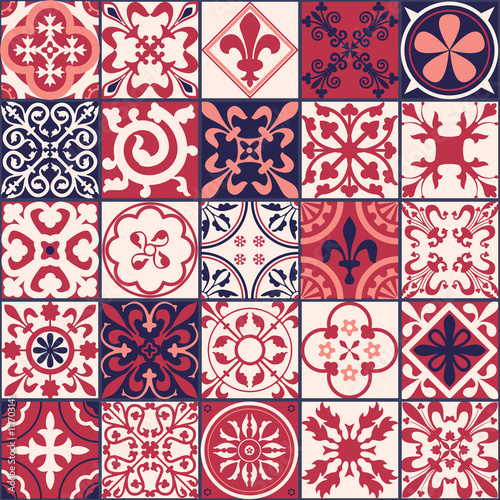 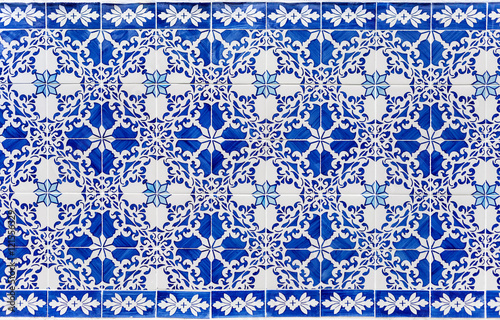 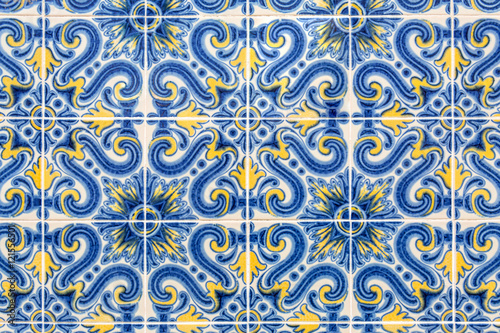 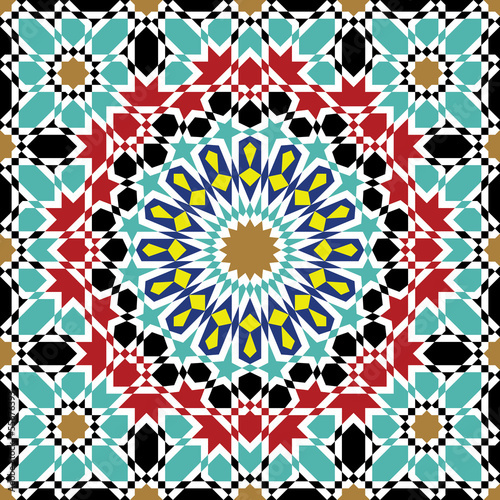 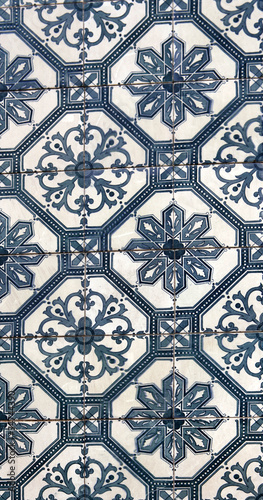 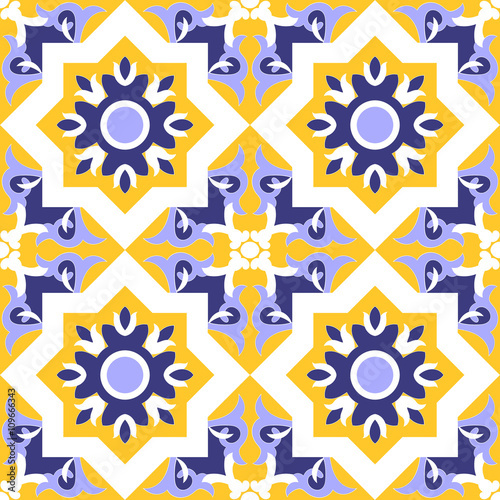 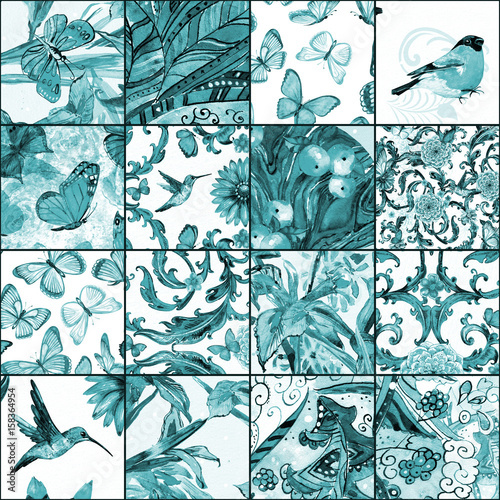 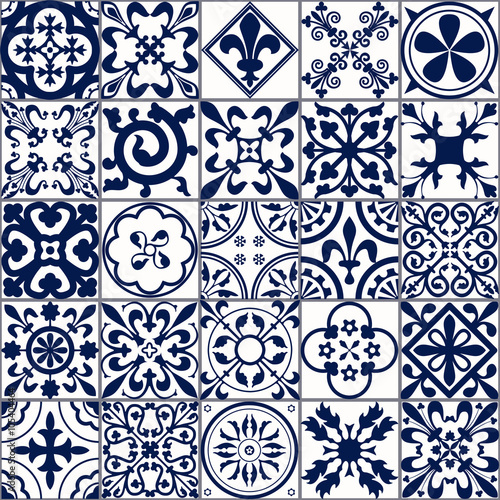 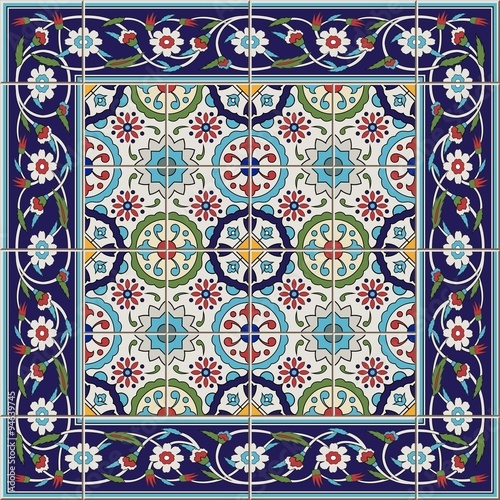 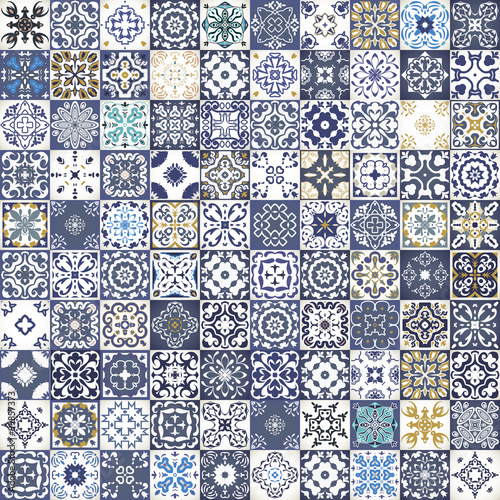 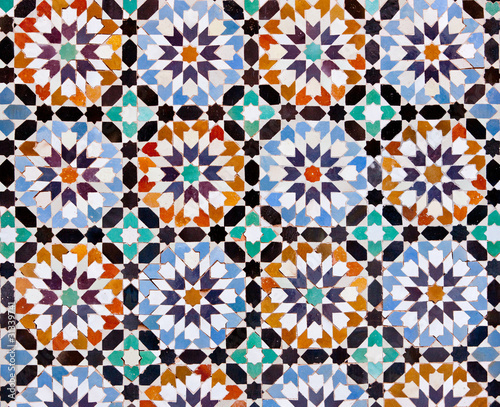 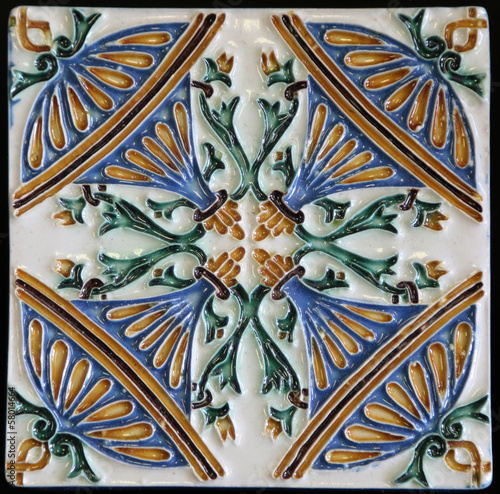 Tile pattern - azulejo, portuguese tiles, spanish, moroccan, talavera, turkish or arabic tiles design with flowers motifs. 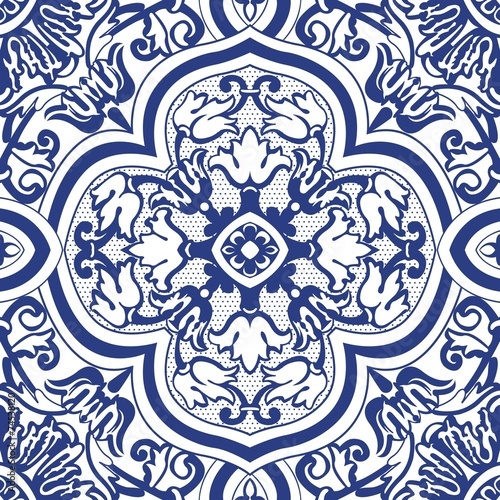 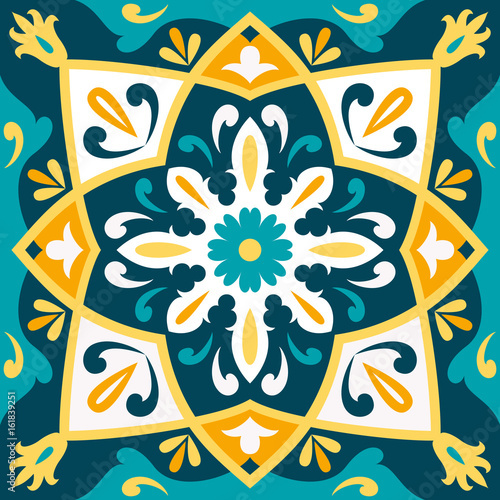 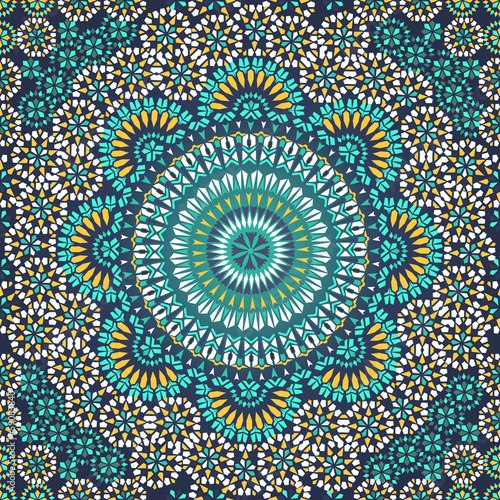 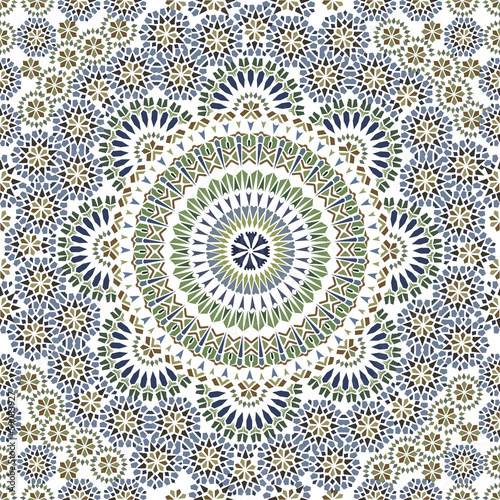 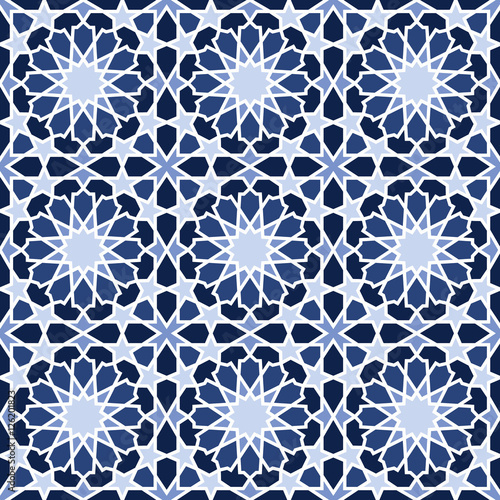 Oriental traditional ornament,Mediterranean seamless pattern, tile design, vector illustration. 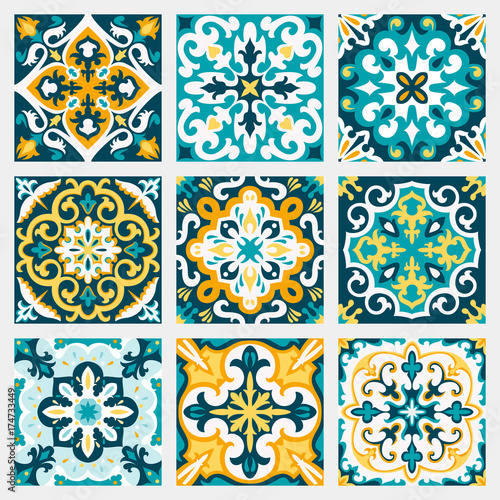 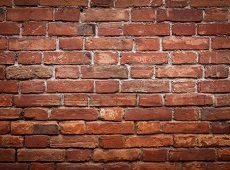 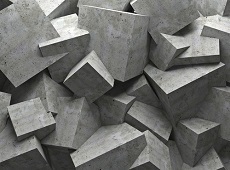 Set with Beautiful seamless ornamental tile background.